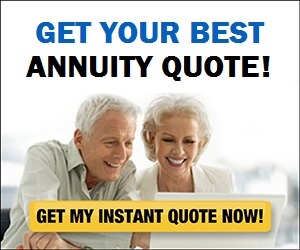 Real Deal Retirement » Blog Archive » Do You Really Need A Financial Adviser? The answer depends on you—but not just on your ability to pick mutual funds. Ideally, you also want to be sure you can put those funds to work in a coherent strategy to achieve your financial goals. Let’s start, though, by taking a closer look at the specific issue of choosing funds. You say you want to invest in good funds with low costs. That makes perfect sense. But even with those two criteria (both of which, while sound, nonetheless allow lots of room for interpretation), you’d still have hundreds of funds to choose from. There are certainly ways you can narrow down the choices. For example, you can home in on funds with below-average annual expenses and solid long-term performance by revving up to a tool like Morningstar’s Mutual Fund Screener. Or better yet, you could simply limit yourself to index funds, which not only have low costs but also track the performance of a market index or benchmark. But even if you go the index fund route, you still have dozens of index funds to choose from, as many focus on specific segments of the market—large-stock index funds, small-cap, growth, value, short-term bonds, long-term bonds, etc. Here too, there’s an easy way for you to cut through the clutter. Focus on index funds that give you a broad swath of the market rather than a small slice of it—namely, a total U.S. stock market index fund, a total U.S. bond market index fund and, if you want international exposure, a total international stock index fund and a total international bond index fund. You’re still not done, however. You also have to decide how much of your money to allocate to each of these funds, so you end up with a portfolio that gives you a decent shot at the returns you need without subjecting you to more risk than you can handle. Again, this is an issue you should be able to navigate on your own, as there are relatively simple ways to figure out how to spread your money around. By spending a few minutes with this risk tolerance-asset allocation tool, for example, you can come away with a recommended mix of stocks and bonds that makes sense given, among other things, how long your money will be invested and how far you’re willing to see your portfolio’s value drop during market setbacks. Or, if you want to take an even easier approach, you could invest in a target-date fund, a type of fund that provides an entire diversified portfolio of stocks and bonds in a single fund. One more thing: Up to now, we’ve focused only on investing. But creating a portfolio of good low-cost funds alone won’t put you on the road to financial security. You also need to address broader issues, including how much you need to save, whether you’re on track to a secure retirement (and, if not, how to get up to speed) and, once retirement is within sight, how to come up with a viable plan to turn your savings into steady income that will support you the rest of your life. Once again, these are all matters that many individuals can resolve on their own. For example, to see if you’re making adequate progress toward retirement, you can check out Fidelity’s Get Your Retirement Savings Factors tool. And if you want to gauge how much you can withdraw from your nest egg without running out of money too soon, you can go to T. Rowe Price’s Retirement Income Calculator. This is where a realistic self-assessment comes in. You have to determine whether you’re comfortable taking on these financial issues on your own and decide if you can address them adequately. If you’re confident that you can, fine. Go for it. But it’s important that you be honest with yourself. If you decide you’re not okay with flying solo—or at least not for now—then it probably makes sense to look for help. That doesn’t mean you have to hire someone on an ongoing basis. You could opt for an adviser who’s willing to provide advice on a specific issue—building a portfolio, doing investing IRA rollover money, creating a retirement income plan, whatever—for a flat or hourly fee. But whatever type of assistance you end up getting, you want to make sure you’re paying a reasonable amount and, even more important, dealing with someone who’s competent and trustworthy. Asking these five questions can help on that score.